Figuring out what to get someone who has everything can often be a struggle. They are those hard to buy for people who usually already have just about everything they need and/or want – moms, dads, aunts, uncles, grandparents. But, this list of gifts for people who have everything will hopefully have something on it that they didn’t know they needed or wanted – but that they will love! When it comes to buying gifts for someone who has everything, I try to find gifts that are really unique and/or will spoil them in some way – things that you wouldn’t find just taking a jaunt down the aisles of Target or a stroll through the mall. This year, I think I’ve found some of the best gifts for those hard to buy for people and I’m including them all in this gift guide. There are multiple things here I’ve personally gotten to cross off people on my own holiday gift list. 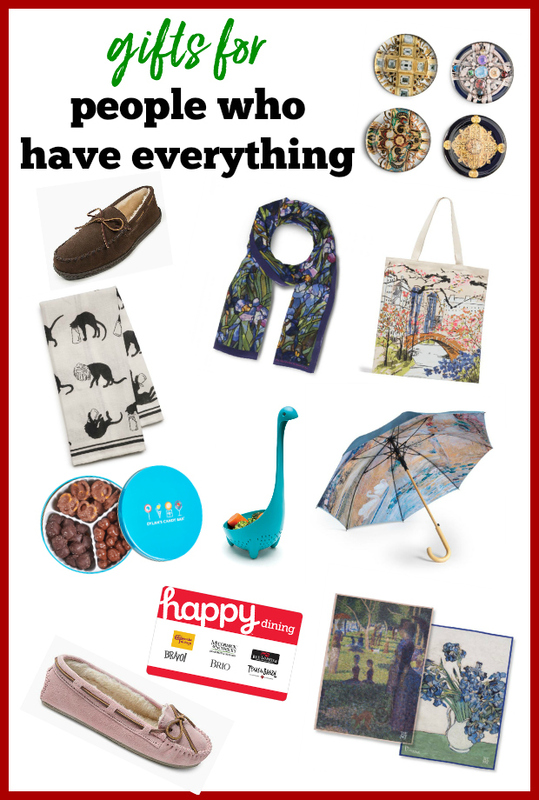 Some brands provided products and/or compensation for inclusion in this gift guide. However, all thoughts and opinions are 100% my own. This post contains affiliate links for your shopping convenience. Click here to read my full disclosure policy. One thing I like to spoil people with is a great pair of slippers. They might buy themselves a pair of slippers, but they won’t splurge on a really great pair that are super soft and cozy and made to last for years. 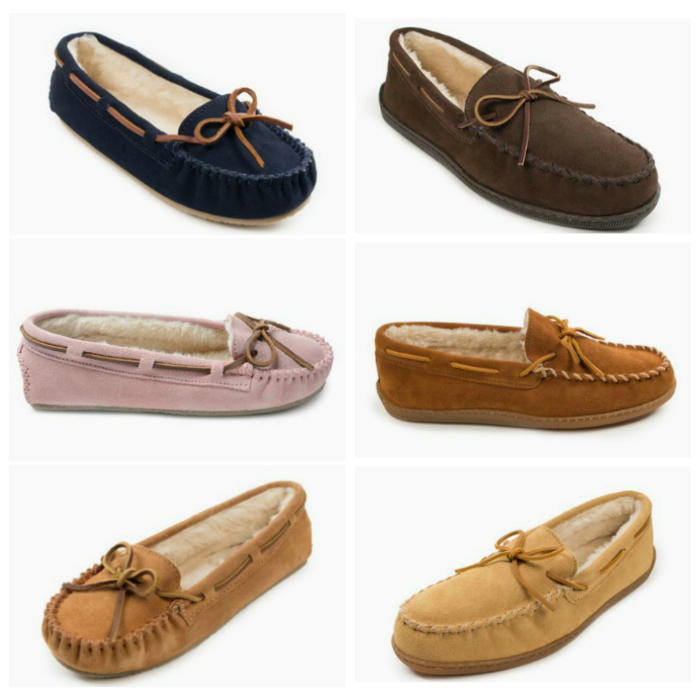 My go-to place for great slippers is Minnetonka. For the ladies, the Cally slipper is a never fail winner. It’s made of soft suede with a thin, but durable rubber sole on the outside and a plush pile lining on the inside. You can choose from nine different colors too. For the fellas, I tend to lean toward these pile lined hardsole slippers. These still have that cush and cozy pile lining inside and suede outside, but the bottom sole is thicker, since men seem to be a bit tougher on shoes in general. Either pair are durable and your gift recipient won’t have to worry about them coming apart after a few jaunts to grab the paper. You can also see all the other slipper styles available for women here and men here. If you get my gift guide emails (if not, sign up here! ), you know that this year I discovered that The MET has an online store. I am completely smitten with so many of their products. When I first stumbled upon them, I thought they might be pricy, but I was wrong! They have gorgeous, unique gifts that are affordable too. And let’s just go ahead and think about how impressive you’ll look by getting people on your list gifts from The MET that they will love! Hands down, these coasters are one of my favorite all time gift picks this year. 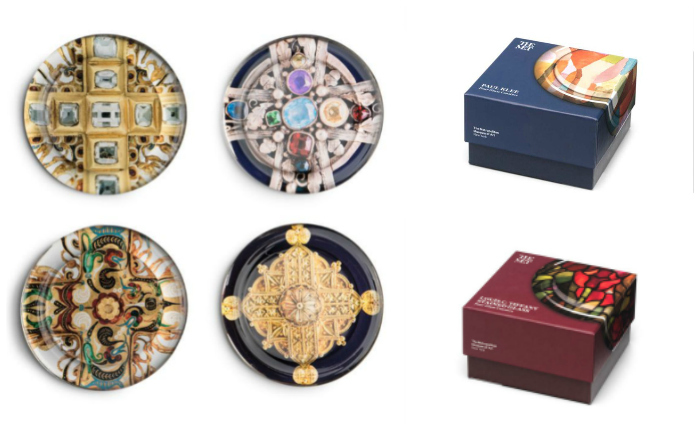 My personal favorite is the set of Jeweled Cross Medallion Coasters (got one of those for someone on my list and myself! ), but if you need something that isn’t as blingy, then you could opt for these colorful Paul Klee abstract coasters for your fun, color loving gift recipient or these Tiffany Stained Glass Coasters for your more traditional friends – I also picked up a set of these for someone on my list. These coasters have a rim, so it keeps condensation on the coaster and not on furniture, plus they come in a great box for gifting! Everybody has to eat, right? Make their next dinner out on you! With a Happy Dining Card, they can choose where to eat from a variety of different restaurants! Don’t discount gift cards when it comes to gift giving, sometimes they can be exactly what they want and/or need – especially when they get lots of options with it! The MET also has some gorgeous scarves for those hard-to-buy-for ladies on your list. 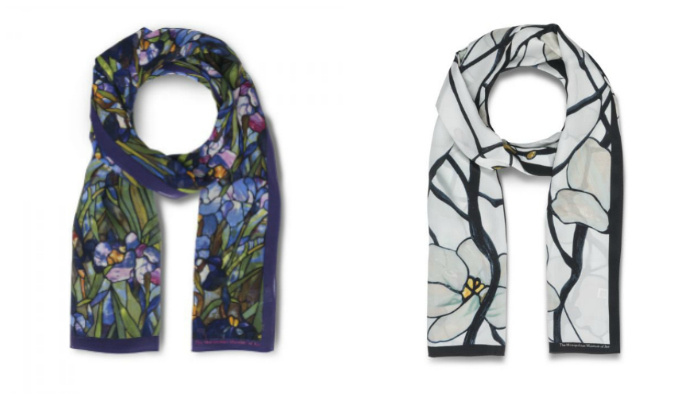 Both of these scarves were made to resemble Tiffany stained glass windows. If they are more of a color person, then I’d go with the Tiffany Irises Scarf, but if you want something a little more neutral for them, go with the Tiffany White Magnolia Scarf. Either is beautiful. I got the Irises one for someone on my gift list! Something sweet is always a treat. 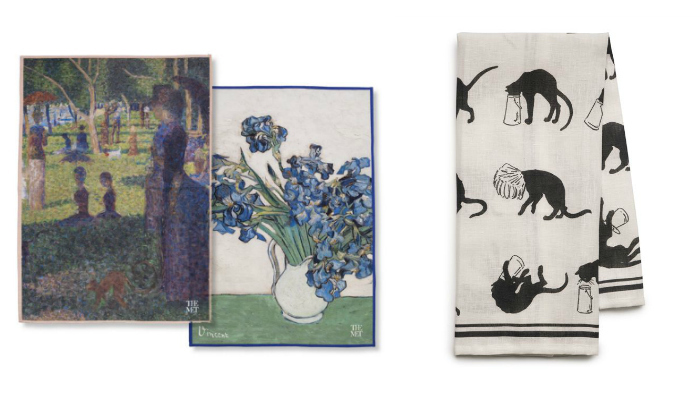 The Van Gogh and Seurat Tea Towel Set features a different work of art from each artist on a tea towel. Both are beautiful and are sure to be conversation starters. The tea towel set is just $35 for both – you could even split it up and knock out two gifts with one purchase! If you’ve got a cat lover on your gift list, then they might love the Steinlen Cats Tea Towel, which features Steinlen’s famous cat artwork. There is also a Steinlen Cats Mug available that comes with a tea infuser as well. The mug and the tea towel would make a great gift set for someone – it’s doing just that for someone on my gift list! There are more gorgeous tea towels you can select from here. 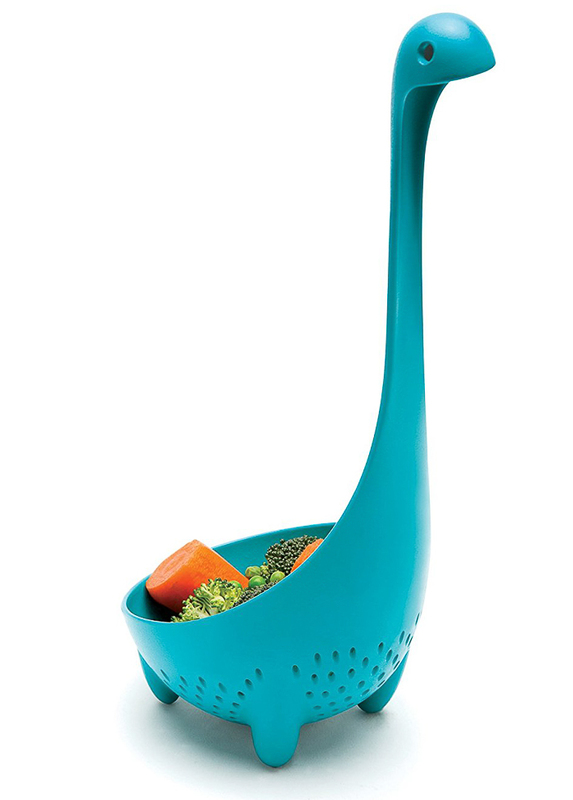 This handy little contraption, named Nessie is a spoon that also doubles as a colander. It’s a handy little kitchen tool that’s both functional and fun. I am a sucker for a great umbrella. I think umbrellas are one of those things that should be pretty – make you smile even if it’s pouring down rain all around you. That’s why I love both of these. The Spring in Central Park umbrella is a more compact, fits in your handbag umbrella – get that if your person does a lot of walking while running their errands. 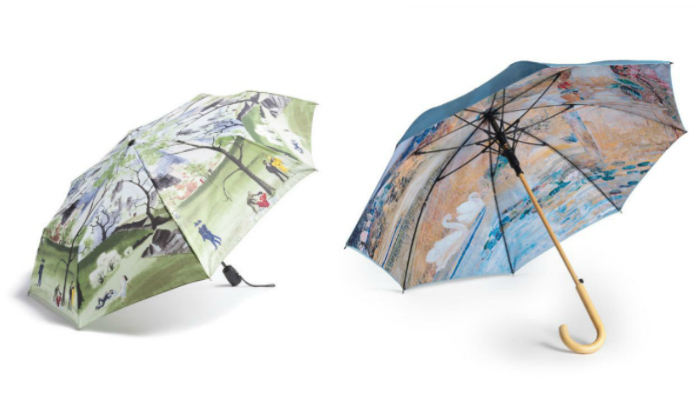 The Tiffany Garden Landscape umbrella is your standard size stick umbrella. The fun thing about it though is that it’s actually blue on the top of the umbrella, but that gorgeous scene is on the underside of the umbrella – how unique! I bought the Spring in Central Park Umbrella for someone on my list! They can never have enough good totes. The older I get, the more I value a good tote bag. I have totes in all sorts of shapes and sizes and they are all useful. I use them for groceries, taking stuff back and forth to the farm, dropping off my dry cleaning, running errands, everything. 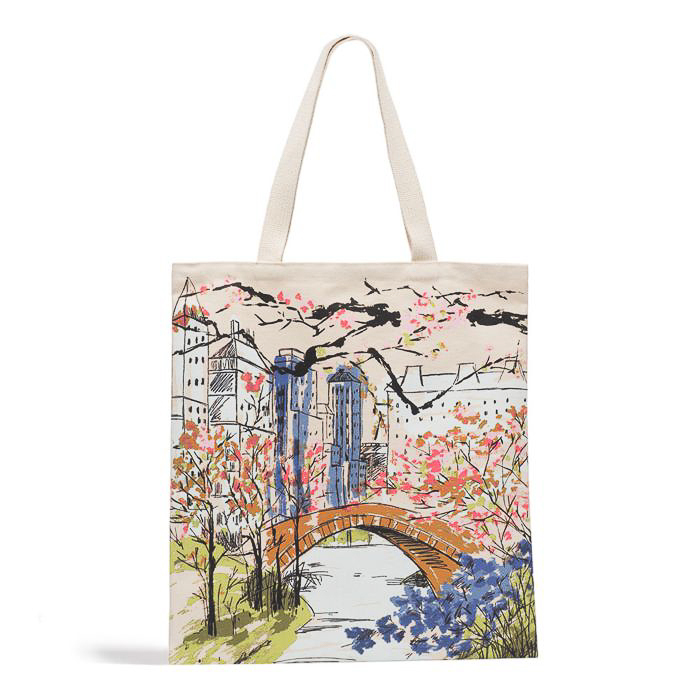 This Central Park Tote is full of beautiful colors, making it bright and cheery and great for all sorts of uses. The reviews are great on it too! This is definitely one of those thinking outside the box type gifts. 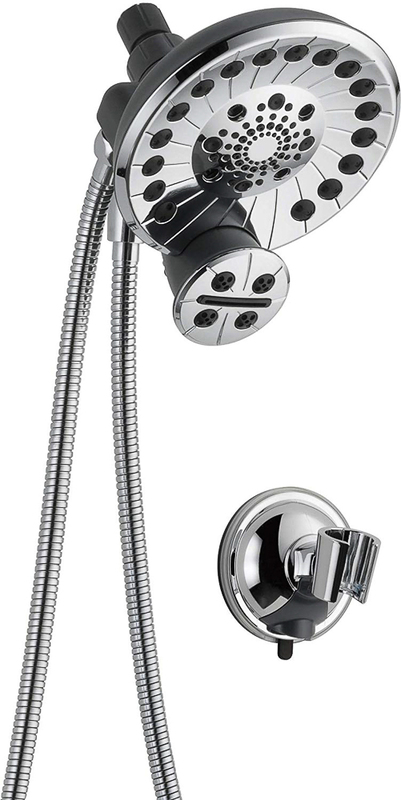 I got one of these Peerless Sidekick Shower Systems earlier this year (read my review of it here) and our family fell in love with it. It’s a shower head that also has a detachable spray wand that’s great for cleaning off dirty feet or babies, but it also has attachments that can go on the spray wand for cleaning your pets and actually cleaning your shower and bathtub. This is perfect for pet owners and folks who might be having a tough time cleaning their shower. 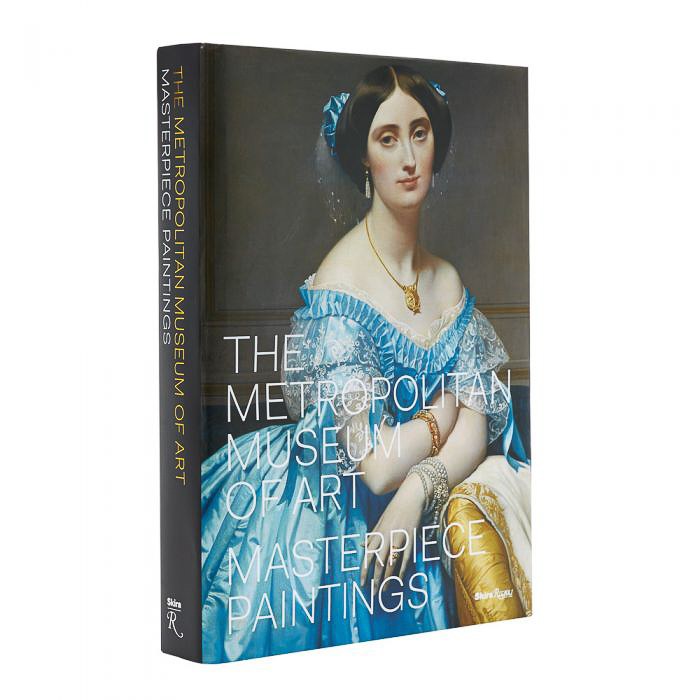 If they are an art lover or would just enjoy taking a jaunt through The MET via their own sofa, then get them this book that contains the most iconic and greatest paintings that The MET has. It has gorgeous, color illustrations of each painting from countless different time periods. Also, apparently jaunt is the word of the day, folks. I have no idea why it popped up in my vocabulary so many times in this post. Whatevs. 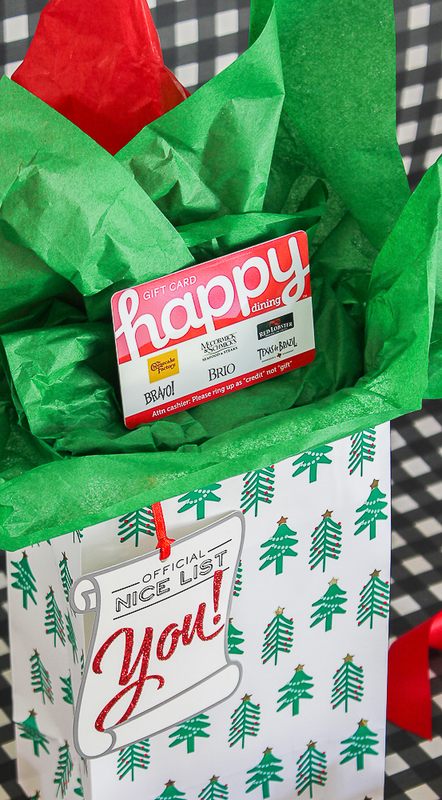 Here’s hoping after all those you’re not still trying to figure out what to get someone who has everything already! 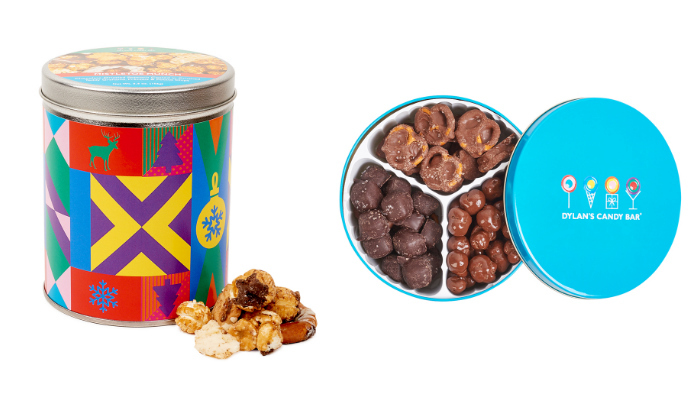 Are you getting our holiday gift guide emails? If not, sign up below for special discounts, sales and more great gift ideas! Yea, I really want those books! !